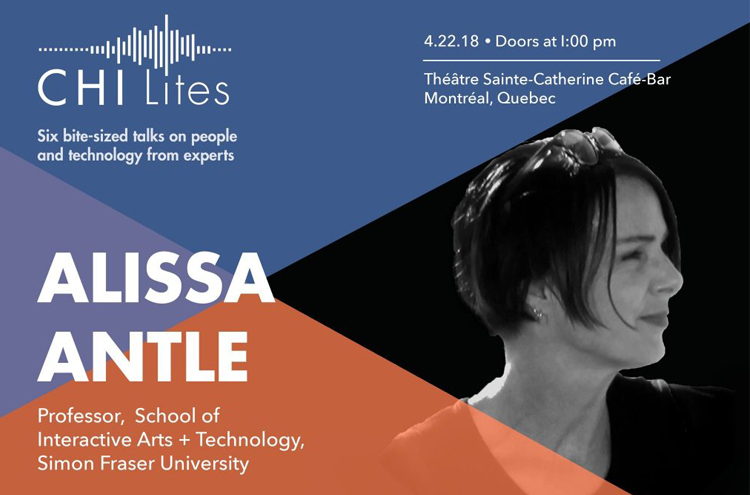 Dr. Antle presented a talk on Phonoblocks at an informal counterpart to the 2018 CHI conference on Human-Computer Interaction in Montreal. CHI Lites offered an exclusive program featuring six of today’s foremost thinkers on people and technology. It was a chance for the public to gain an insight into emerging research and take away thought-provoking insights.